Erika Robuck, critically acclaimed author of Hemingway’s Girl and Call Me Zelda, returns with another fascinating novel featuring a literary figure… this time, charismatic 1930s poet, Edna St. Vincent Millay. 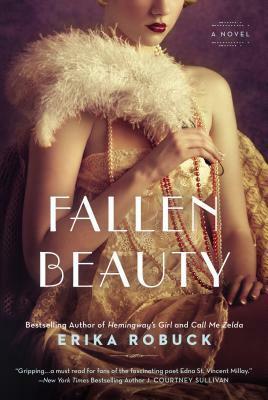 In FALLEN BEAUTY (NAL Trade Paperback; 978-0-451-41890-6; March 4, 2014; $16), Robuck presents vivid new characters while portraying a beautifully eccentric Edna St. Vincent Millay, around whom an electrifying tale unfolds, where the fast pace of the jazz age collides with life in a small, judgmental town. In the tradition of The Paris Wife and The Aviator’s Wife, FALLEN BEAUTY is a poignant page-turner comprised of fascinating pieces of history immersed in a beautifully written narrative. Robuck captures the radiance and charisma of Edna St. Vincent Millay, the fragility and power of family loyalty, and the ultimate, all-encompassing passion of love in its many forms. Erika Robuck has written several novels pairing famous authors, Hemingway, Fitzgerald, and now Millay, with ordinary people. Except ordinary is hardly a word to describe them. Because these other people are very strong characters as well. While I liked Hemingway's Girl and Call Me Zelda, Fallen Beauty is by far my favorite. I don't know much about Edna St. Vincent Millay, but this book has definitely painted a good picture of her. Millay was far ahead of her time. In today's day and age, we wouldn't think much about her lifestyle, but in 1920 she was quite a character. She was not afraid to live out loud. In the book Millay has almost an obsessive behavior about wanting to get close to the main character, Laura Kelley. She believes Laura will be the muse to her writing. Laura grew up in a small town, where everyone seemed to live a perfect life on the outside. She is shunned by most of the town when she has a baby out of wedlock. My heart broke for this character. She suffers a great deal in this book, but she also finds her strength. And I've never so badly wanted to punch fictional characters before. Even in the end, Robuck gives you an understanding of why some of the characters act that way, and you can't help but pity them. Fallen Beauty evoked an array of emotions from me. I was hooked from the first page to the last. 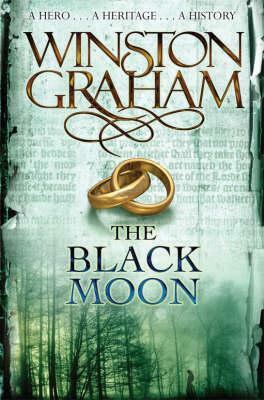 I also loved the time period in which this book took place. There is something about the glitz and glamour of the twenties that draws you in. This is a great read, and I can't wait to read Erika Robuck's next book! Erika Robuck has appeared on the Southern Independent Bestseller List for Call Me Zelda and is the critically acclaimed author of Hemingway’s Girl. Born and raised in Annapolis, Maryland, Erika was inspired by the cobblestones and old churches. She is a contributor to the popular fiction blog, Writer Unboxed, and maintains her own historical fiction blog called Muse. For more information please visit www.erikarobuck.com, and Twitter @ErikaRobuck. *For more information on Erika’s tour events, please visit www.ErikaRobuck.com and participating bookstore websites. Please be sure to check out the other stops along the FALLEN BEAUTY Blog Tour for more unique review coverage and additional chances to enter to win a giveaway copy of FALLEN BEAUTY!! Thanks to Penguin I have a copy of Fallen Beauty to giveaway to a lucky reader. This giveaway is open to US only. You must be at least 13 years old to enter.